A meticulous virtual administrator with skills in data entry, spreadsheets, internet research, database administration and content writing. I have seven years experience as Labour...Read moreA meticulous virtual administrator with skills in data entry, spreadsheets, internet research, database administration and content writing. I have seven years experience as Labour Consultant dealing with dispute resolution, conciliation/mediation and arbitration. I have experience in legal research, general research and writing. Great attention to detail and very meticulous. Proficient in the English language. 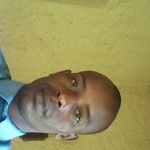 I am in the freelance business to get extra income for funding my further education (master's degree).